Give clients the simple, functional gift of storage through the Mono Strap Convention Tote. High in simplicity and functionality, the Mono Strap Convention Tote is an ideal product to flaunt your brand’s logo. Made of 600D polyester, this classic convention tote has a spacious main compartment to store your belongings. It also features a separate open pocket in front and several pockets for pens, business cards, and notepads. The mesh pocket on the side stores your water bottle. The adjustable shoulder strap allows the bag to be comfortably carried over the shoulder as a sling. 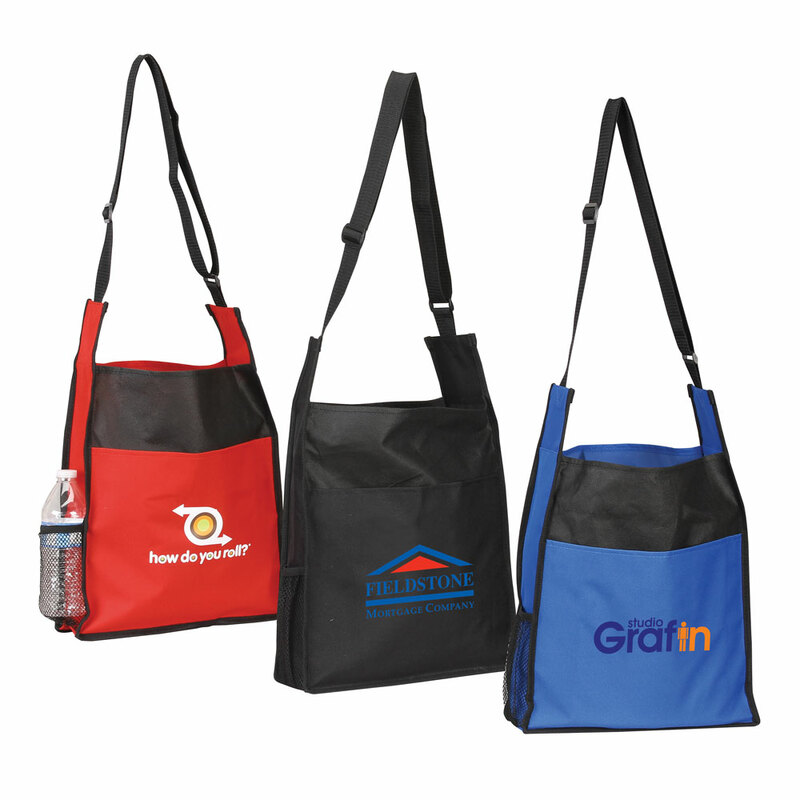 Add your business logo on the tote bag and give it away at carnivals, bag expos, trade fairs, malls, corporate and community events to elevate your brand’s image and value.